Make your mark in community health care at The Hastings Health Centre. The Hastings Health Centre has a unique culture of people who work hard and are very supportive of each other. Professional development is encouraged throughout all levels of the organisation. There are many benefits to being part of the team at The Hastings Health Centre like rewarding career opportunities, lifestyle options, in-house medical and nursing programmes, further tertiary education support as well as a professional and positive work culture. We take pride in allowing all staff the opportunity to provide input into how The Hastings Health Centre works through professional group meetings, team systems and feedback processes. If The Hastings Heath Centre sounds like the place you would like to establish and grow your career we want to hear from you. An exciting opportunity has become available for a general practitioner to join our team at the Hastings Health Centre. Due to growth and establishing a health centre in Havelock North we are seeking GP's for either part time or full time work with the opportunity to purchase a practice if desired. There are minimal on call commitments in our after hours centre which is open from 8am - 8pm seven days per week. We have an experienced and loyal team of nurses and other professionals who value strong leadership and can think outside the box. 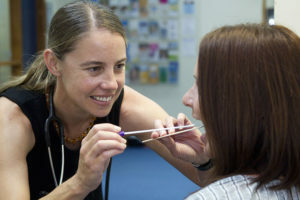 Even though we are a large centre (NZ's largest medical centre) our unique set up continues to offer patients the personal experience of the traditional small practice but with the advantages of the multidisciplinary "one stop shop". We have robust support systems in place, including links to wraparound services. The centre is Cornerstone accredited and a teaching practice. There are ample opportunities for CME provided on site, along with monthly GP and Peer Review meetings. We are in Hastings, the heart of the sunny Hawke's Bay – access to great schools and facilities, culture, wine and food, and all without Auckland's traffic and house prices. For further enquiries please email Andrew.lesperance@hhc.co.nz (CEO), or phone (06) 873 8999. The Hastings Health Centre is one of New Zealand's largest Medical Centres. We are proud to provide a range of GP, Nurse led, Urgent Care and Primary Health services across the district. Exciting times lay ahead for The Hastings Health Centre as we are currently building a brand new, purpose built, medical centre – due to be completed in April 2019.